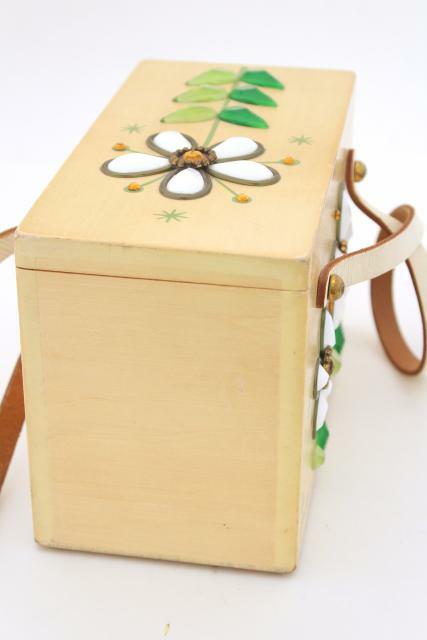 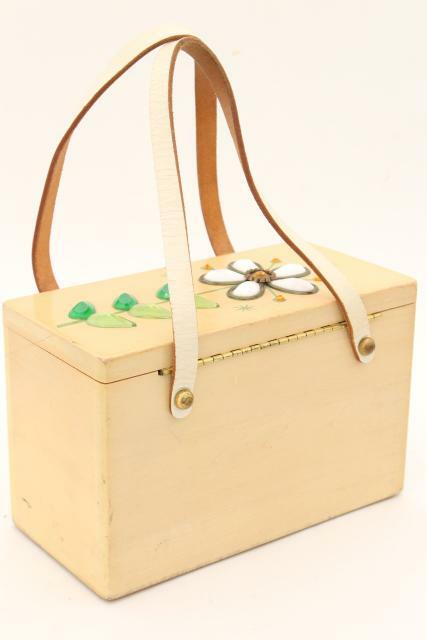 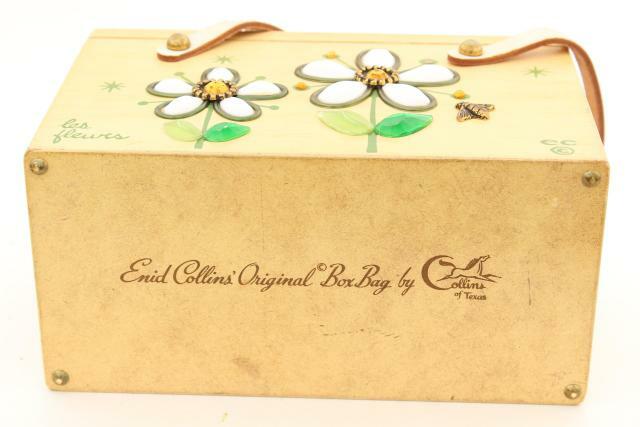 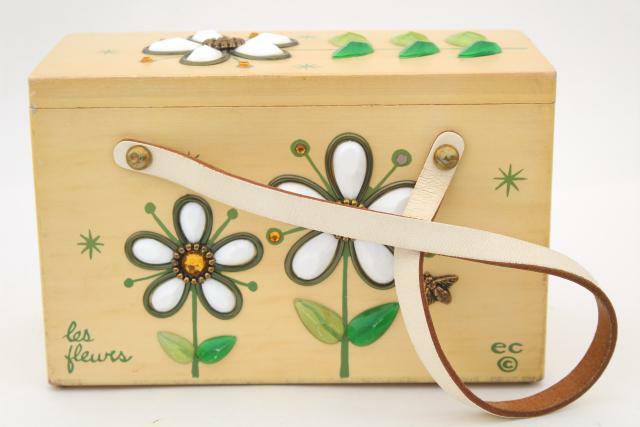 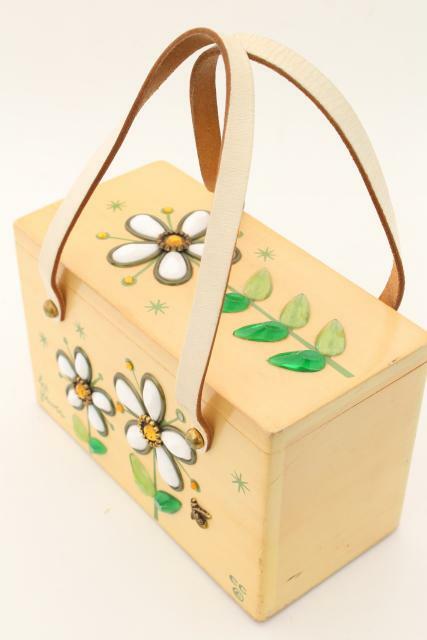 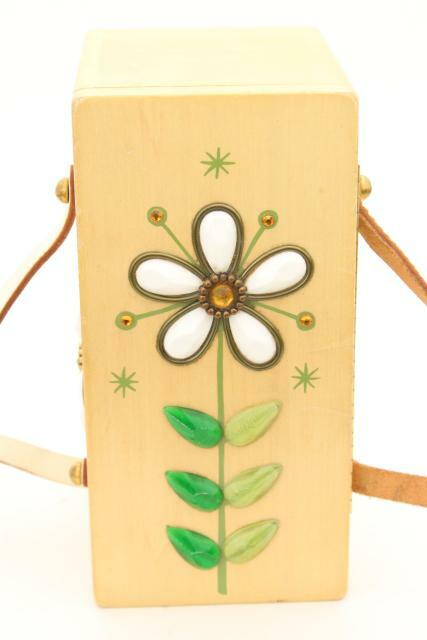 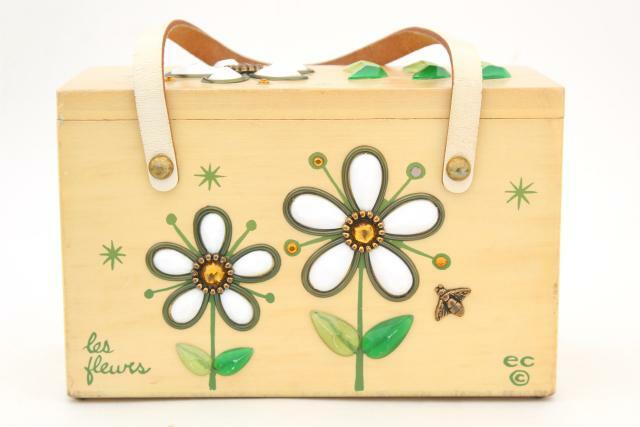 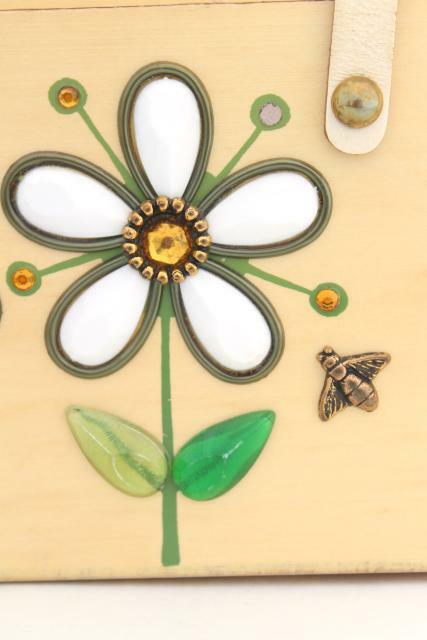 Cute 'Les Fleurs' retro bee and daisies Enid Collins wood box purse, 60s or 70s vintage? 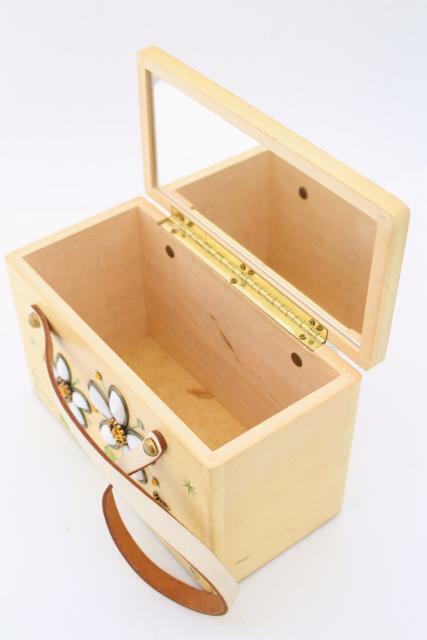 This is nice and clean inside and out, barely used. 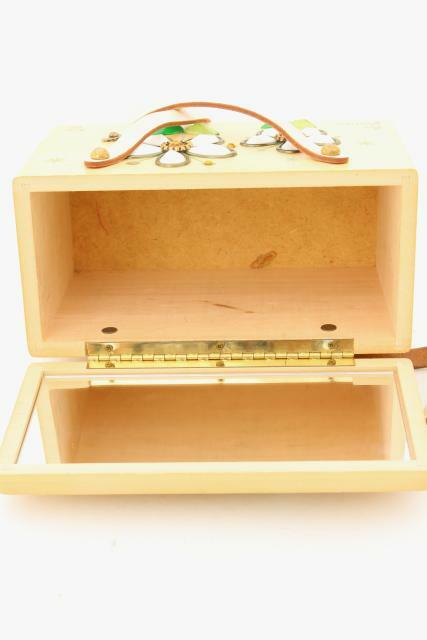 Measures 8 1/2" x 5" x 4".